If old-world craftsmanship and meticulous attention to detail is important, THIS IS THE ONE!! Situated on 20 peaceful acres, the exterior is real stone (not lick & stick) laid by master stone mason and complimented by hardi-plank siding. The interior has wide plank pine floors, soap-stone counters, & wide trim that is all antiqued to look like it's been there forever. Outside is a 30x40 pole barn, summer kitchen, and stone root cellar. 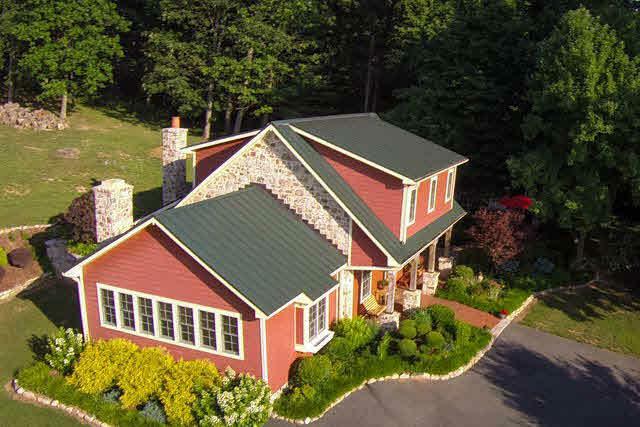 Extensive cottage landscaping and pastoral views will take your breath away. The acreage is part tillable (corn now) and part wooded. The driveway meanders through the woods and the setting is peaceful and serene. A 3BR septic services the home & provisions have been made for a main level bedroom addition.